In Britain, anti-communism was widespread among the British foreign policy elite in the 1930s with its strong upperclass connections. The upper-class Cliveden set was strongly anti-communist in Britain. In 2006, allegations emerged that a large number of Falun Gong practitioners had been killed to supply China's organ transplant industry. The Kilgour-Matas report found that "the source of 41,500 transplants for the six year period 2000 to 2005 is unexplained" and concluded that "there has been and continues today to be large scale organ seizures from unwilling Falun Gong practitioners". Ethan Gutmann estimated that 65,000 Falun Gong practitioners were killed for their organs from 2000 to 2008. Resolution 1481/2006 of the Parliamentary Assembly of the Council of Europe (PACE), issued on January 25, 2006 during its winter session, "strongly condemns crimes of totalitarian communist regimes". 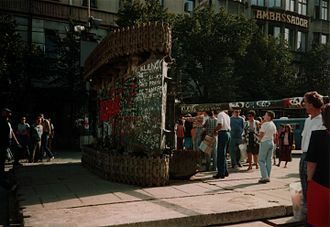 Other academics and journalists, among them Kristen Ghodsee and Seumas Milne respectively, assert that in the post-Cold War era any narratives which include Communism's achievements are often ignored while those which focus exclusively on the crimes of Stalin and other Communist leaders are amplified. Both allege this is done in part to silence any criticism of global capitalism. ^ "Breaking News, World News & Multimedia". iht.com. ^ "CCC Search Result - Paragraph # 2425". www.scborromeo.org. ^ "Pope John Paul's crusade against communism". cnn.com. 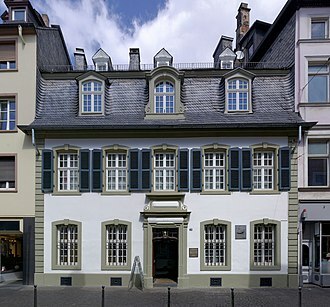 ^ "Goethe-Institut Boston - Goethe-Institut USA". goethe.de. ^ Thanas Mustaqi (2011-09-23), 1949, Pentagoni: Diplomaci fleksibël me Shqipërinë [1949, Pentagon:Flexible diplomacy with Albania] (in Albanian), Lajmi, archived from the original on 2014-12-22, retrieved 2014-12-19, Më 26 gusht të vitit 1949, në Paris u formua Komiteti Kombëtar-Demokratik "Shqipëria e lirë", me nismën e Mithat Frashërit për të "udhëhequr dhe inkurajuar njerëzit tanë të zotë në rezistencën e tyre kundër tiranisë komuniste". Këtu u zgjodh edhe Këshilli udhëheqës i saj i përbërë nga Mid'hat Frashëri (kryetar), Abas Kupi, Zef Pali, Said Kryeziu dhe Nuçi Kotta (anëtarë). Organi më i lartë ishte Këshilli Kombëtar prej 11 anëtarësh nga parti të ndryshme. Por pas disa ditësh, agjencia franceze e lajmeve AFP transmetoi një deklaratë të Mbretit në mërgim Ahmet Zogu, në të cilën thuhej se nuk e njihte Komitetin Shqipëria e Lirë dhe se "pas 7 prillit 1939, unë jam i vetmi autoritet legjitim i shqiptarëve". ^ Miranda Leitsinger. "Organizers: 150,000 at Tiananmen vigil in Hong Kong - CNN.com". cnn.com. ^ Kai Thaler (December 2, 2015). 50 years ago today, American diplomats endorsed mass killings in Indonesia. Here’s what that means for today. The Washington Post. Retrieved December 2, 2015. ^ Scott, Margaret (October 26, 2017). "Uncovering Indonesia's Act of Killing". The New York Review of Books. Retrieved March 4, 2018. ^ Perry, Juliet (July 21, 2016). "Tribunal finds Indonesia guilty of 1965 genocide; US, UK complicit". CNN. Retrieved July 8, 2017. ^ "Over 5000 people have signed the Charter 08 (《零八宪章》签名已超过5000人)". Boxun. 17 December 2008. Retrieved 2008-12-15. ^ Spencer, Richard (9 December 2008). 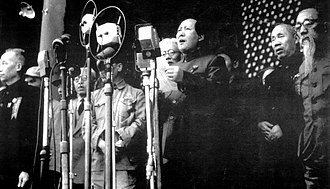 "Chinese dissidents emulate anti-Soviet heroes with Charter 08". Telegraph. London. Archived from the original on 10 December 2008. Retrieved 2008-12-10. ^ Why China's leadership should talk to the Charter 08 movement, The Washington Post, January 30, 2009. ^ Small green shoots of rebellion among ordinary Chinese, Irish Times, January 31, 2009. ^ Editorial, Reuters. "China blasts Bush tribute to victims of communism". reuters.com. ^ Robinson, Nathan J. (October 28, 2017). "How to be a Socialist without being an Apologist for the Atrocities of Communist Regimes". Current Affairs. Retrieved October 30, 2017. ^ Ghodsee, Kristen R. (2014). "A Tale of "Two Totalitarianisms": The Crisis of Capitalism and the Historical Memory of Communism" (PDF). History of the Present. 4 (2): 115–142. JSTOR 10.5406/historypresent.4.2.0115. ^ Milne, Seumas (16 February 2006). "Communism may be dead, but clearly not dead enough". The Guardian. Retrieved September 5, 2018. Ghodsee, Kristen R.; Sehon, Scott (March 22, 2018). "Anti-anti-communism". Aeon. Retrieved October 14, 2018. Prince Pyotr Alexeyevich Kropotkin was a Russian activist and philosopher, who advocated anarchism. Born into an aristocratic land-owning family, he attended a school and served as an officer in Siberia. He was imprisoned for his activism in 1874 and managed to escape two years and he spent the next 41 years in exile in Switzerland, France and in England. 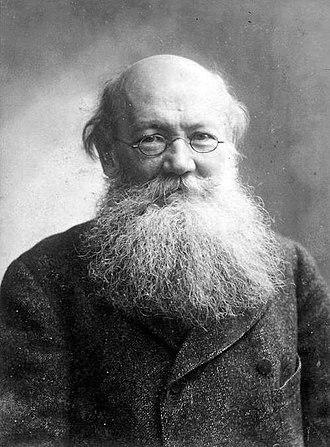 He returned to Russia after the Russian Revolution in 1917 but was disappointed by the Bolshevik form of state socialism, Kropotkin was a proponent of a decentralised communist society free from central government and based on voluntary associations of self-governing communities and worker-run enterprises. He contributed the article on anarchism to the Encyclopædia Britannica Eleventh Edition, Kropotkin was born in Moscow, into the second-highest level of the Russian aristocracy. 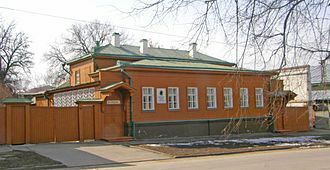 His mother was the daughter of a Cossack general and his father, Alexei Petrovich Kropotkin, was a prince in Smolensk, of the Rurik dynasty which had ruled Russia before the rise of the Romanovs. Kropotkins father owned large tracts of land and nearly 1,200 male serfs in three provinces, nder the influence of republican teachings, Kropotkin dropped his princely title at age 12, and even rebuked his friends, when they so referred to him. 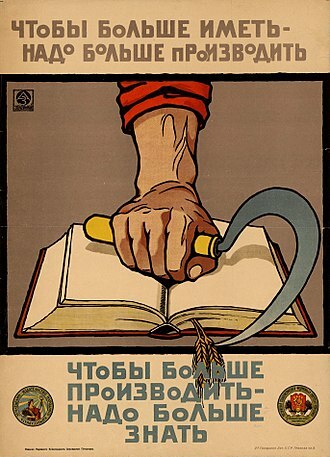 In 1857, at age 14, Kropotkin enrolled in the Corps of Pages at St. Petersburg, Kropotkins memoirs detail the hazing and other abuse of pages for which the Corps had become notorious. 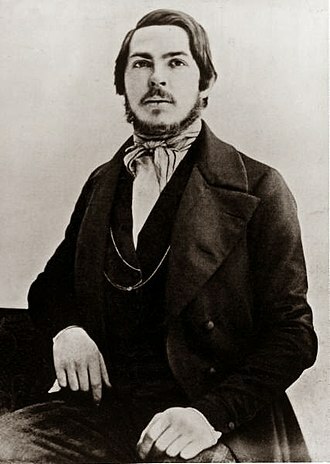 In Moscow, Kropotkin developed an interest in the condition of the peasantry, although his work as a page for Tsar Alexander II made Kropotkin skeptical about the tsars liberal reputation, Kropotkin was greatly pleased by the tsars decision to emancipate the serfs in 1861. In St. Petersburg, he read widely on his own account, in 1862, Kropotkin was promoted from the Corps of Pages to the army. The members of the corps had the right to choose the regiment to which they would be attached. For some time, he was aide de camp to the governor of Transbaikalia at Chita, he was appointed attaché for Cossack affairs to the governor-general of East Siberia at Irkutsk. The expeditions yielded valuable geographical results, in 1866, Kropotkin began reading the works of the French anarchist Pierre-Joseph Proudhon, and other political thinkers such as John Stuart Mill and Alexander Herzen. These readings, along with his experiences among peasants in Siberia and his departure from a family tradition of military service prompted his father to disinherit him, leaving him a prince with no visible means of support. In 1871, he explored the glacial deposits of Finland and Sweden for the Society, accordingly, he refused the offer and returned to St. Petersburg, where he joined the revolutionary party. 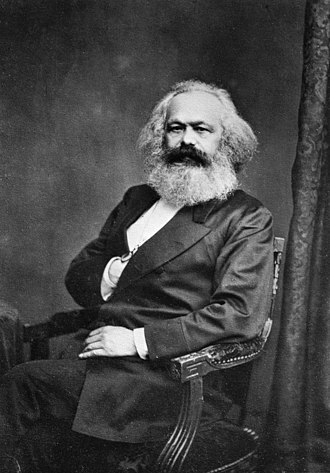 Kropotkin visited Switzerland in 1872 and became a member of the International Workingmens Association at Geneva, however, he found that he did not like IWAs style of socialism. 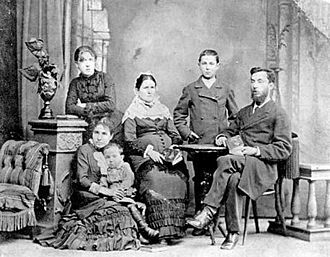 Instead, he studied the programme of the more radical Jura federation at Neuchâtel and spent time in the company of the leading members, on returning to Russia, Kropotkins friend Dmitri Klements introduced him to the Circle of Tchaikovsky, a socialist/populist group created in 1872. Alexandra Mikhailovna Kollontai was a Russian Communist revolutionary, first as a member of the Mensheviks, from 1914 on as a Bolshevik. In 1923, Kollontai was appointed Soviet Ambassador to Norway, one of the first women to such a post. Alexandra Mikhailovna Domontovich was born on 31 March 1872 in St. Petersburg and her father, General Mikhail Alekseevich Domontovich, descended from a Ukrainian Cossack family that traced its ancestry back to the 13th century. He served as a officer in the Russo-Turkish War of 1877-78. Russian opera singer Yevgeniya Mravina was Kollontais half-sister via her mother, the saga of her parents long and difficult struggle to be together in spite of the norms of society would color and inform Alexandra Kollontais own views of relationships and marriage. Alexandra Mikhailovna – or Shura as she was called growing up – was close to her father, with whom she shared an analytical bent and her relationship with her mother, for whom she was named, was more complex. She recalled, My mother and the English nanny who reared me were demanding. There was order in everything, to tidy up toys myself, to lay my underwear on a chair at night, to wash neatly, to study my lessons on time. Alexandra was a good student growing up, sharing her fathers interest in history and she spoke French with her mother and sisters, English with her nanny, Finnish with the peasants at a family estate inherited from her maternal grandfather in Kuusa, and was a student of German. Instead, Alexandra was to be allowed to take an exam to gain certification as a teacher before making her way into society to find a husband. 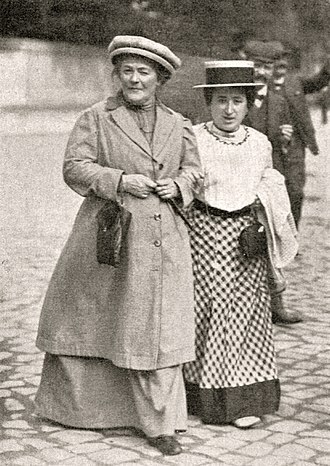 In 1890 or 1891, aged around 19, met her husband, Vladimir Ludvigovich Kollontai. Alexandras mother objected bitterly to the union since the young man was so poor. Her mother bitterly scoffed at the notion, You work and you, who cant even make up your own bed to look neat and tidy. You, who never picked up a needle and you, who go marching through the house like a princess and never help the servants with their work. You, who are just like your father, going around dreaming and leaving your books on every chair, Alexandra became pregnant soon after her marriage and bore a son, Mikhail, in 1894. Thus, Trotskyists founded their own, competing Fourth International. Today, there is no longer a single, cohesive Fourth International, Maoists, left communists, and anarchists all consider Trotskyism, and thus the Fourth International, to be ideologically bankrupt and impotent. Quite a few of these carry the label Fourth Internationalist either in their organisations name, major political position documents. 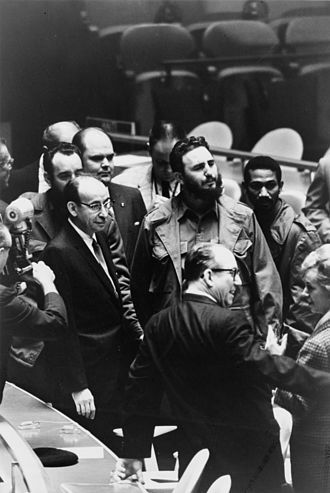 It has not succeeded in capitalizing on the renewed interest in socialism, the FI suffered a major split in 1940 and an even more significant split in 1953. A partial reunification occurred in 1963, but the international never recovered enough to re-emerge as a single transnational grouping, Trotskyists regard themselves as working in opposition to both capitalism and Stalinism. This theory was advanced in opposition to the held by the Stalinists that socialism in one country could be built in the Soviet Union alone. 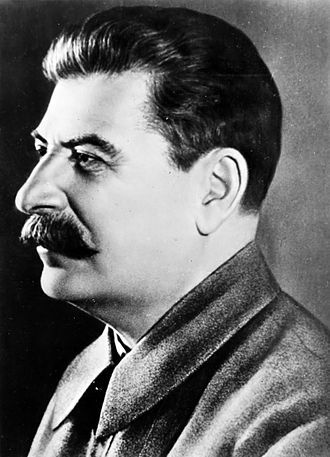 Furthermore and his supporters criticised the increasingly totalitarian nature of Joseph Stalins rule. 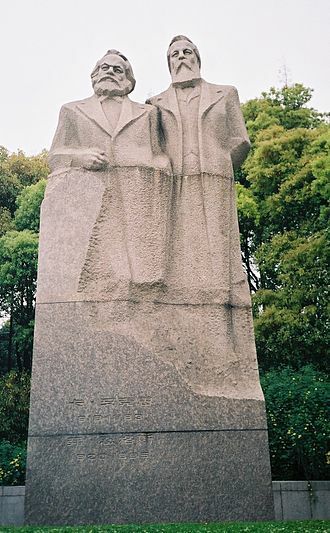 They argued that socialism without democracy is impossible, faced with the increasing lack of democracy in the Soviet Union, they concluded that it was no longer a socialist workers state, but a degenerated workers state. Trotsky and his supporters had been organised since 1923 as the Left Opposition and they opposed the bureaucratisation of the Soviet Union, which they analysed as being partly caused by the poverty and isolation of the Soviet economy. Prior to 1924, the Bolsheviks international perspective had been guided by Trotskys position, Trotsky argued that Stalins theory represented the interests of bureaucratic elements in direct opposition to the working class. 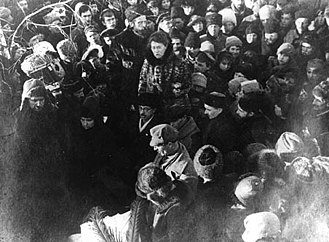 Eventually Trotsky was sent into exile and his supporters were jailed. 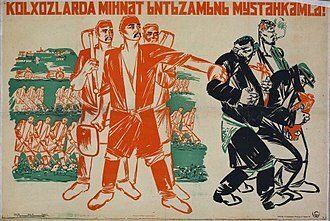 The Left Opposition, continued to work in secret within the Soviet Union, Trotsky was eventually exiled to Turkey. 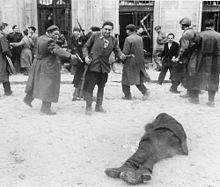 He moved from there to France and finally to Mexico and he was assassinated on Stalins orders in Mexico, by Ramón Mercader, a Spanish-born Soviet agent in August 1940. 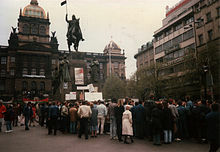 A political international is an organisation of political parties or activists with the aim of co-ordinating their activity for a common purpose, after the International Workingmens Association disbanded in 1876, several attempts were made to revive the organisation, culminating in the formation of the Socialist International in 1889. This, in turn, was disbanded in 1916 following disagreements over World War I and this was organised on a democratic centralist basis, with component parties required to fight for policies adopted by the body as a whole. 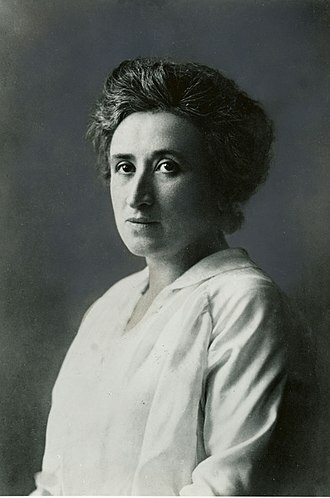 By declaring themselves the Fourth International, the World Party of Socialist Revolution, the Trotskyists were publicly asserting their continuity with the Comintern and their recognition of the importance of these earlier Internationals was coupled with a belief that they eventually degenerated. 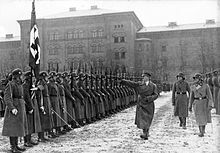 Trotsky believed that its formation was all the more urgent for the role he saw it playing in the impending World War, in the early 1930s, Trotsky and his supporters believed that Stalins influence over the Third International could still be fought from within and slowly rolled back. 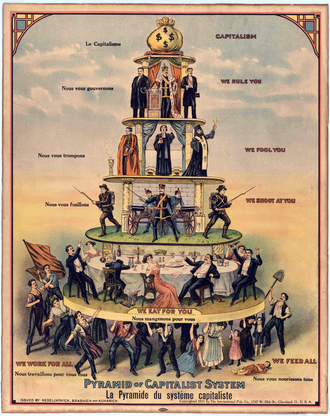 In addition to the communal economy, consensus decision-making, non-hierarchical structures and ecological living have become important core principles for many communes. There are many contemporary intentional communities all over the world, a list of which can be found at the Fellowship for Intentional Community, for the usually larger-scale, political entities in communist political theory, see socialist communes, which are similar but distinct social organizations. Some communes, such as the ashrams of the Vedanta Society or the Theosophical commune Lomaland, formed around spiritual leaders, for others, the glue is simply the desire for a more shared, sociable lifestyle. Moreover, some find it is more economical to live communally. The central characteristics of communes, or core principles that define communes, have expressed in various forms over the years. At the start of the 1970s, The New Communes author Ron E. Roberts classified communes as a subclass of a category of Utopias. 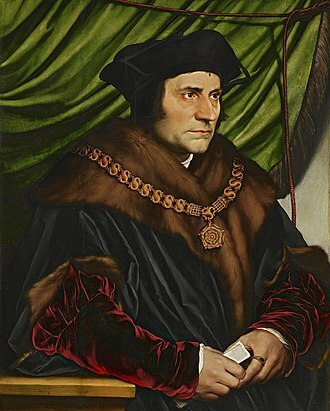 Roberts three listed items were, egalitarianism – that communes specifically rejected hierarchy or graduations of social status as being necessary to social order. 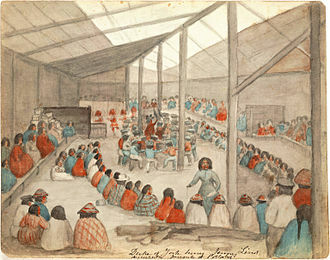 Second, human scale – that members of some communes saw the scale of society as it was organised as being too industrialized. And third, that communes were consciously anti-bureaucratic, twenty five years later, Dr. Sharing everyday life and facilities, a commune is an idealized form of family, being a new sort of primary group. Commune members have emotional bonds to the group rather than to any sub-group. With the simple definition of a commune as a community with 100% income sharing. Some of these are institutions such as abbeys and monasteries. Many communes are part of the New Age movement, in Germany, a large number of the intentional communities define themselves as communes and there is a network of political communes called Kommuja with about 30 member groups. Germany has a tradition of intentional communities going back to the groups inspired by the principles of Lebensreform in the 19th century. Later, about 100 intentional communities were started in the Weimar Republic after World War I, in the 1960s, there was a resurgence of communities calling themselves communes, starting with the Kommune 1 in Berlin, followed by Kommune 2 and Kommune 3 in Wolfsburg. Tommaso Campanella OP, baptized Giovanni Domenico Campanella, was a Dominican friar, Italian philosopher, theologian and poet. Born in Stignano in the province of Reggio di Calabria in Calabria, southern Italy, son of a poor and illiterate cobbler, he entered the Dominican Order before the age of fourteen, taking the name of fra Tommaso in honour of Thomas Aquinas. He studied theology and philosophy with several masters, Campanella wrote his first work, Philosophia sensibus demonstrata, published in 1592, in defence of Telesio. In 1590 he was in Naples where he was initiated in astrology, campanellas heterodox views, especially his opposition to the authority of Aristotle, brought him into conflict with the ecclesiastical authorities. Denounced to the Inquisition, he was arrested in Padua in 1594 and cited before the Holy Office in Rome, after his liberation, Campanella returned to Calabria, where he was accused of leading a conspiracy against the Spanish rule in his hometown of Stilo. Betrayed by two of his conspirators, he was captured and incarcerated in Naples, where he was tortured on the rack. He made a confession and would have been put to death if he had not feigned madness. 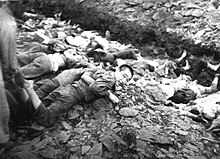 He was tortured further and then and ill, was sentenced to life imprisonment, Campanella spent twenty-seven years imprisoned in Naples, in various fortresses. He defended Galileo Galilei in his first trial with his work The Defense of Galileo, be warned that while yours truly does state the thoroughly-forbidden opinion of the motion of the earth, you are not obliged to believe the reasons of those who contradict you. I doubt violence to people who do not know, the present Pope likely has not made his mind in this case. Campanella was finally released from his prison in 1626, through Pope Urban VIII, taken to Rome and held for a time by the Holy Office, Campanella was restored to full liberty in 1629. He lived for five years in Rome, where he was Urbans advisor in astrological matters, in 1634, however, a new conspiracy in Calabria, led by one of his followers, threatened fresh troubles. With the aid of Cardinal Barberini and the French Ambassador de Noailles, he fled to France, protected by Cardinal Richelieu and granted a liberal pension by the king, he spent the rest of his days in the convent of Saint-Honoré in Paris. They were executed in the electric chair seven years at Charlestown State Prison. 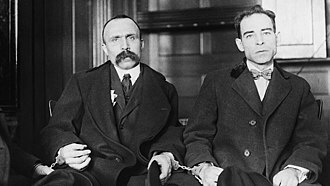 Both men adhered to an anarchist movement that advocated relentless warfare against a violent, after a few hours deliberation on July 14,1921, the jury convicted Sacco and Vanzetti of first-degree murder and they were sentenced to death by the trial judge. A series of appeals followed, funded largely by the private Sacco, the appeals were based on recanted testimony, conflicting ballistics evidence, a prejudicial pre-trial statement by the jury foreman, and a confession by an alleged participant in the robbery. All appeals were denied by trial judge Webster Thayer and denied by the Massachusetts State Supreme Court. By 1926, the case had drawn worldwide attention, as details of the trial and the mens suspected innocence became known and Vanzetti became the center of one of the largest causes célèbres in modern history. In 1927, protests on their behalf were held in major city in North America and Europe, as well as in Tokyo, Sydney, São Paulo, Rio de Janeiro, Buenos Aires. Celebrated writers and academics pleaded for their pardon or for a new trial, Harvard law professor and future Supreme Court justice Felix Frankfurter argued for their innocence in a widely read Atlantic Monthly article that was published in book form. Sacco and Vanzetti were scheduled to die in April 1927, accelerating the outcry, responding to a massive influx of telegrams urging their pardon, Massachusetts governor Alvan T. Fuller appointed a three-man commission to investigate the case. After weeks of secret deliberation that included interviews with the judge and several witnesses and Vanzetti were executed in the electric chair just after midnight on August 23,1927. 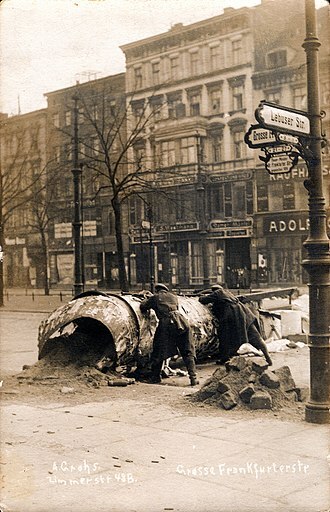 Subsequent riots destroyed property in Paris and other cities, investigations in the aftermath of the executions continued throughout the 1930s and 1940s. The publication of the letters, containing eloquent professions of innocence. Additional ballistics tests and incriminating statements by the mens acquaintances have clouded the case, writer Bruce Watson, in his introduction to the 2007 re-printing of The Letters of Sacco and Vanzetti, noted Sacco and Vanzetti are still on trial and probably always will be. 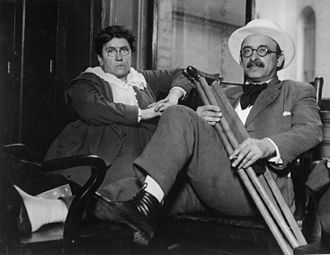 Alexander Berkman was a leading member of the anarchist movement in the early 20th century, famous for both his political activism and his writing. Berkman was born in Vilna in the Russian Empire and emigrated to the United States in 1888 and he lived in New York City, where he became involved in the anarchist movement. He was the lover and lifelong friend of anarchist Emma Goldman. In 1892, undertaking an act of propaganda of the deed, Berkman made an attempt to assassinate businessman Henry Clay Frick. His experience in prison was the basis for his first book, after his release from prison, Berkman served as editor of Goldmans anarchist journal, Mother Earth, and established his own journal, The Blast. In 1917, Berkman and Goldman were sentenced to two years in jail for conspiracy against the newly instated draft, after their release from prison, they were arrested—along with hundreds of others—and deported to Russia. In 1925, he published a book about his experiences, The Bolshevik Myth, while living in France, Berkman continued his work in support of the anarchist movement, producing the classic exposition of anarchist principles and After, The ABC of Communist Anarchism. Suffering from ill health, Berkman committed suicide in 1936, Berkman was born Ovsei Osipovich Berkman in the Lithuanian city of Vilnius. He was the youngest of four children born into a well-off Jewish family, Berkmans father, Osip Berkman, was a successful leather merchant, and his mother, Yetta Berkman, came from a prosperous family. In 1877, Osip Berkman was granted the right, as a successful businessman, the family moved to Saint Petersburg, a city previously off-limits to Jews. There, Ovsei adopted the more Russian name Alexander, he was known among family and friends as Sasha, the Berkmans lived comfortably, with servants and a summer house. Berkman attended the gymnasium, where he received an education with the youth of Saint Petersburgs elite. 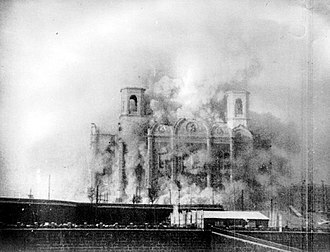 As a youth, Berkman was influenced by the growing radicalism that was spreading among workers in the Russian capital, a wave of political assassinations culminated in a bomb blast that killed Tsar Alexander II in 1881. He became very upset when his uncle, his mothers brother Mark Natanson, was sentenced to death for revolutionary activities. Communist symbolism represents a variety of themes, including revolution, the proletariat, agriculture, or international solidarity. Communist states and movements use these symbols to advance, the flag of the Soviet Union incorporated a yellow-outlined red star and a yellow hammer and sickle on red. The flags of Vietnam, China and Mozambique would all incorporate similar symbolism under communist rule, the hammer and sickle have become the pan-communist symbol, appearing on the flags of most communist parties around the world. However, the flag of the Workers Party of Korea includes a hammer representing industrial workers, a hoe representing agricultural workers, and a brush representing the intelligentsia. In Hungary, Indonesia, Poland and Lithuania, communist symbols are banned, the hammer and sickle is a symbol of the communist movement. The hammer stands for the industrial working-class while the sickle represents the workers, together the hammer. The hammer and sickle were first used during the Russian Revolution, since the Russian Revolution, the hammer and sickle have come to represent various communist parties and socialist states. The five-pointed red star is a symbol of communism as well as socialism in general. The red star was a symbol after the October Revolution. It was widely used by anti-fascist resistance parties and underground organizations in Europe leading up to, most states in the Eastern Bloc incorporated the red star into state symbols to signify their socialist nature. Today the red star is used by many socialist and communist parties, the red flag is often seen in combination with other communist symbols and party names. The flag is used at various communist and socialist rallies like May Day, the flag, being a symbol of socialism itself, is commonly associated with non-communist variants of socialism. 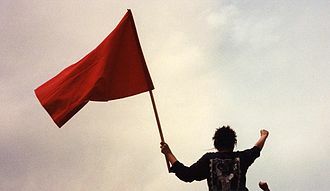 The red flag has had multiple meanings in history but it was first used as a flag of defiance, the red flag gained its modern political meaning in the 1871 French Revolution. After the October Revolution, the Soviet government adopted the red flag with a superimposed hammer, since the October Revolution, various socialist states and movements have used the red flag. A gift economy, gift culture, or gift exchange is a mode of exchange where valuables are not traded or sold, but rather given without an explicit agreement for immediate or future rewards. This contrasts with an economy or a market economy, where goods. Social norms and custom govern gift exchange, Gifts are not given in an explicit exchange of goods or services for money or some other commodity. The nature of gift economies forms the subject of a debate in anthropology. 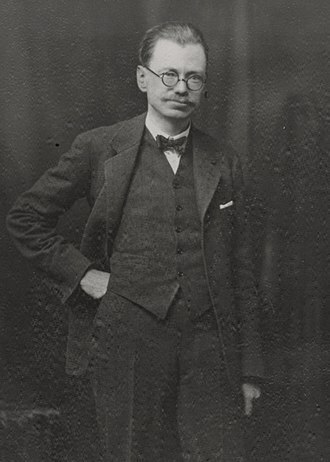 Anthropological research into gift economies began with Bronisław Malinowskis description of the Kula ring in the Trobriand Islands during World War I. The Kula trade appeared to be gift-like since Trobrianders would travel great distances over dangerous seas to give what were considered valuable objects without any guarantee of a return. According to anthropologists Maurice Bloch and Jonathan Parry, it is the relationship between market and non-market exchange that attracts the most attention. Gift economies are said, by some, to communities. Gift ideology in highly commercialized societies differs from the typical of non-market societies. Gift economies must be differentiated from several closely related phenomena, such as common property regimes, however, he claims that anthropologists, through analysis of a variety of cultural and historical forms of exchange, have established that no universal practice exists. Gift exchange is frequently embedded in political, kin, or religious institutions, gift-giving is a form of transfer of property rights over particular objects. The nature of property rights varies from society to society, from culture to culture. The nature of gift-giving is thus altered by the type of property regime in place, property is not a thing, but a relationship amongst people about things. According to Chris Hann, property is a relationship that governs the conduct of people with respect to the use. Anthropologists analyze these relationships in terms of a variety of actors bundle of rights over objects, an example is the current debates around intellectual property rights. Nestor Ivanovych Makhno or Batko Makhno was a Ukrainian anarchist revolutionary and the commander of an independent anarchist army in Ukraine during the Russian Civil War of 1917–22. 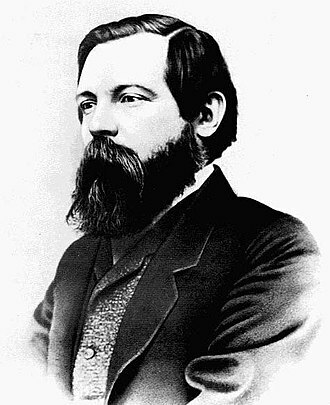 As commander of the Revolutionary Insurrectionary Army of Ukraine, commonly referred to as the Makhnovshchina and his movement repeatedly attempted to reorganize life in the Huliaipole region along anarchist lines, the disruptions of the civil war precluded any long-term social experiments. Although Makhno considered the Bolsheviks a threat to the development of an anarchist Free Territory within Ukraine, after a series of imprisonments and escapes, Makhno finally settled in Paris with his wife Halyna and daughter Yelena. In exile Makhno wrote three volumes of memoirs, Makhno died in exile at the age of 45 from tuberculosis-related causes. He is credited as the inventor of the tachanka, a horse-drawn platform mounting a machine gun. Nestor Makhno was born into a peasant family in Huliaipole. He was the youngest of five children, church files show a baptism date of October 27,1888, but Nestor Makhnos parents registered his date of birth as 1889. 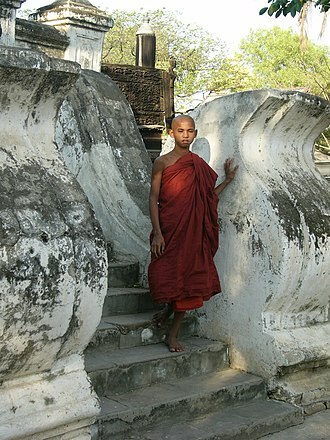 His father died when he was ten months old, due to extreme poverty, he had to work as a shepherd at the age of seven. He studied at the Second Huliaipole primary school in winter at the age of eight and he left school at the age of twelve and was employed as a farmhand on the estates of nobles and on the farms of wealthy peasants or kulaks. At the age of seventeen, he was employed in Huliaipole itself as a painter, as a worker in a local iron foundry. During this time he involved in revolutionary politics. His involvement was based on his experiences of injustice at work, in 1906, Makhno joined the anarchist organization in Huliaipole. He was arrested in 1906, and acquitted and he was again arrested in 1907, but could not be incriminated, and the charges were dropped. The third arrest came in 1908 when an infiltrator was able to testify against Makhno, in 1910 Makhno was sentenced to death by hanging, but the sentence was commuted to life imprisonment and he was sent to Butyrskaya prison in Moscow. Berkman edited Mother Earth from 1907 to 1915. Berkman's journal, The Blast, was influential among American anarchists. The Hotel Bauen in Buenos Aires, occupied and self-managed since 2003.